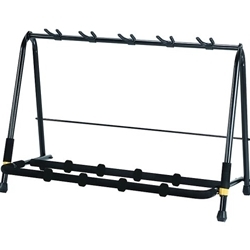 This five piece guitar rack is perfect for saving floor space both at home and on stage! It is specially formulated with foam covers on all contact points to protect guitar bodies. There are also soft rubber yokes to protect the guitar necks.